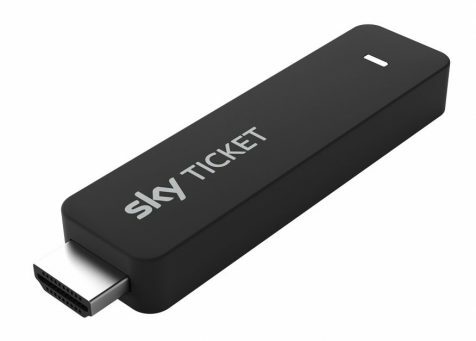 Sky Deutschland has launched the Sky Ticket TV Stick – a Roku Powered streaming stick that offers customers access to the German pay-TV provider’s entertainment offering. Customers in Germany can watch the latest TV series, new movies and live sports with the option to cancel monthly. The Stick also provides access to other streaming apps via its integrated AppStore, that includes popular choices such as ARD, ZDF and YouTube. 1 x Supersport Month Pass. Unlimited live sports such as Bundesliga football, 2nd Bundesliga, DFB-Pokal, UEFA Champions League, handball, tennis and golf. Germany is the third country in which Sky is launching the popular streaming stick form factor, leveraging the Roku Powered licensing programme. Under the programme, pay-TV operators leverage the Roku streaming platform including the Roku OS, Roku Channel Store, and streaming players to deliver live TV and on-demand services to their customers.